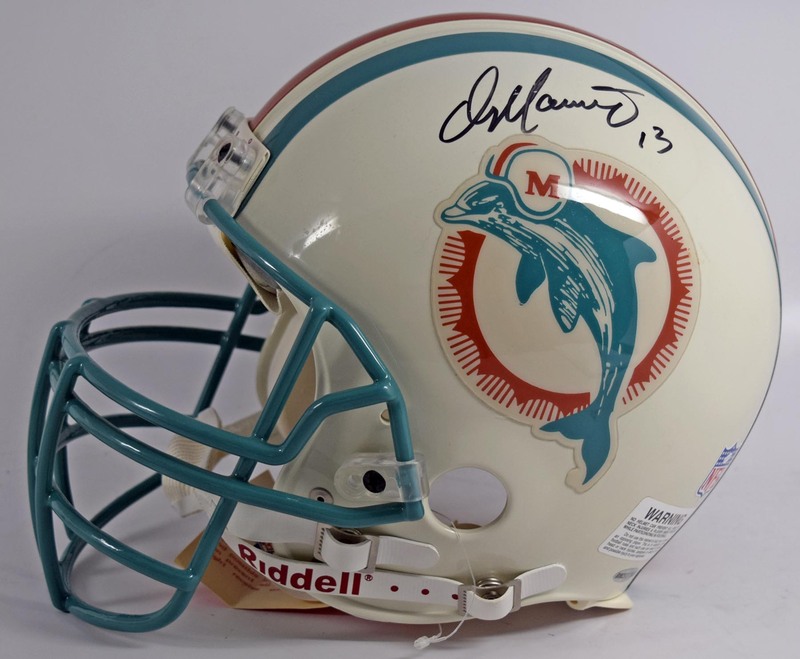 Classic football piece, this is a official Riddell Dolphins model. Marino signed this in bold black sharpie ink with his #13. This has a UDA hologram but no paperwork.